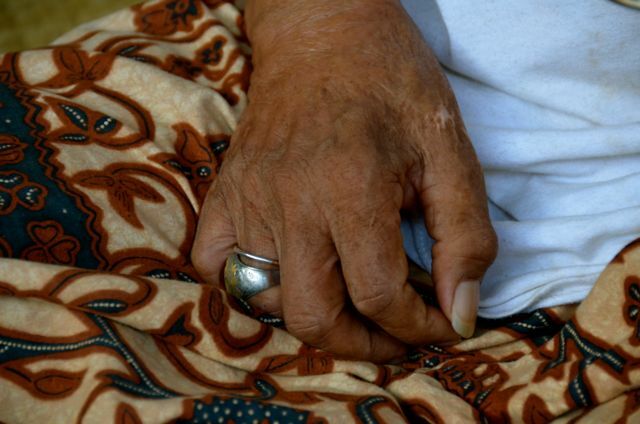 We first trekked to Ketut’s home compound on a Balinese holiday. 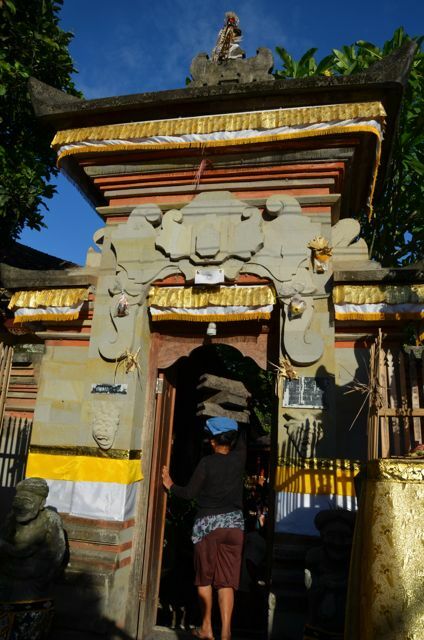 Our homestay hosts, Madde and Ayu, said that though Ketut would not be open for business on that day, it would be interesting for us to observe him leading ceremonies for locals who would be visiting his temple for spiritual cleansing. Indeed it was! 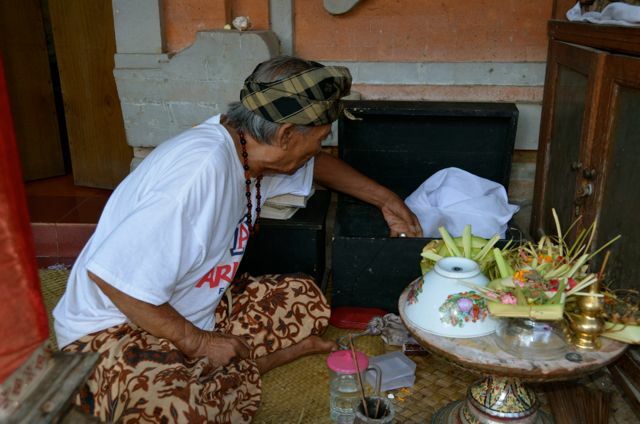 Neighborhood locals flocked to his home compound, dropping into the family temple to deliver offerings, and partake in the ceremony Ketut was leading. 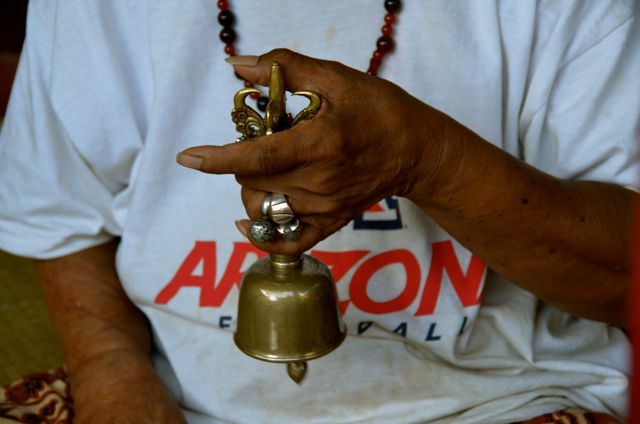 The famous medicine man had a bell in hand and seemed thoroughly immersed. Yet for a brief second, the guru turned his gaze to two international visitors, flashing us an incredibly warm, nearly toothless smile. 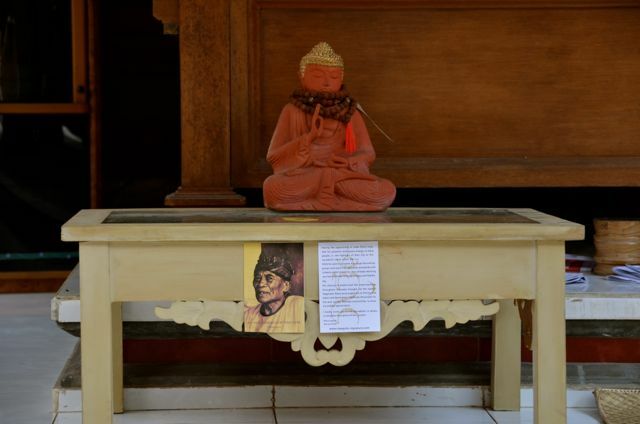 On Thanksgiving Day, we again walked to Ketut’s home. As anticipated, it was a bustling place. A group of tourists from Jakarta huddled around the 98-year-old man, a dog lounged in the shade of a temple, caged birds serenaded, and women carried construction supplies on their heads to a corner of the compound. 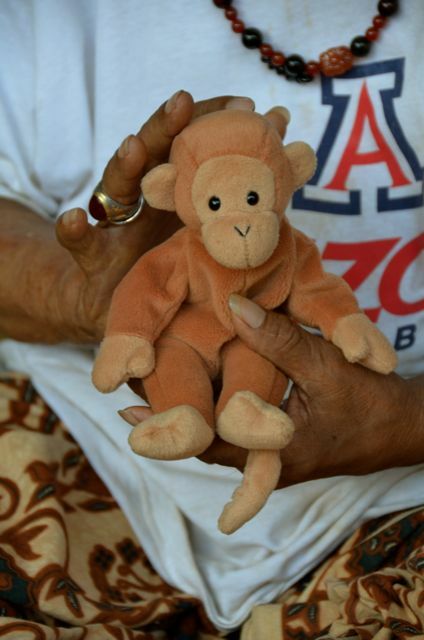 As we did so, Ketut became intrigued by Mango, the mascot monkey accompanying us on our travels to give each place a sense of home, and to make our travel photos more accessible to young viewers and children at heart. Ketut playfully interacted with Mango, and then went into his trunk, to pull out an original copy of Eat, Pray, Love, as well as a letter from Gilbert. 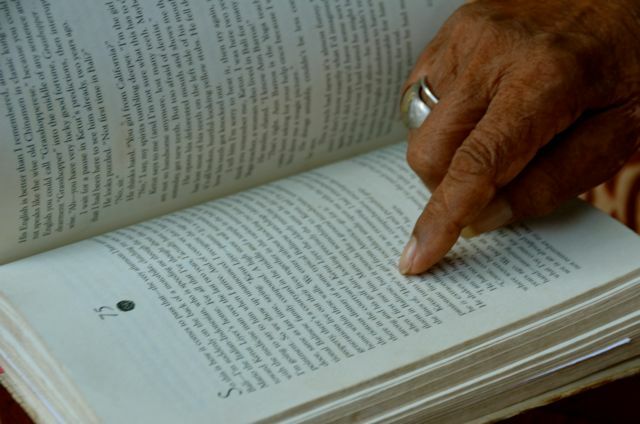 His long, ring-adorned fingers paged through the book. 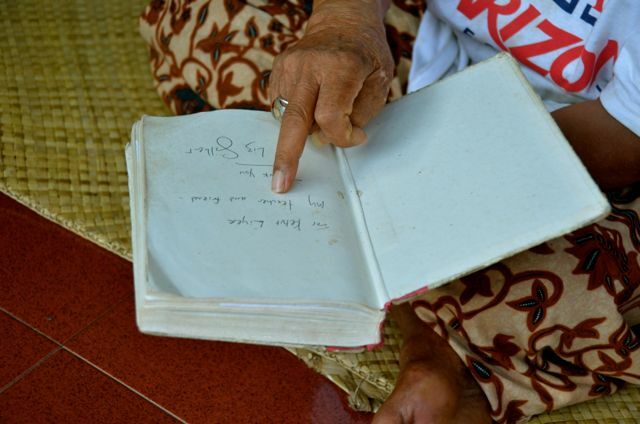 “Here is my name… and here is my name…” Little did Ketut know that we had heard of him before! Then, out came the note card from its envelope. In the card, Gilbert wrote Ketut that she thought of him often, and that she was grateful for what the wise man had taught her about love. “Thankful. Happy for what you taught her,” I explained. 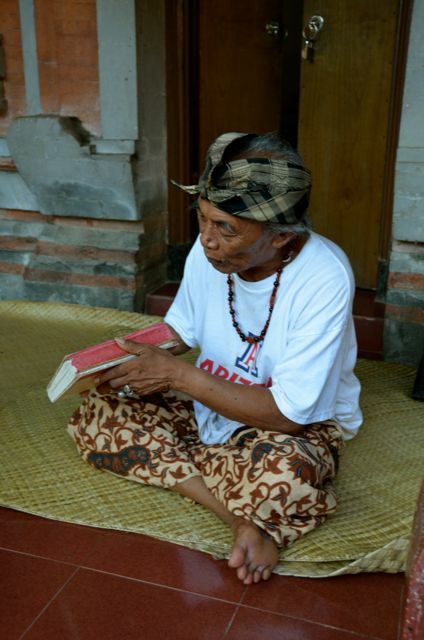 It was fun helping the Balinese man increase his English word repertoire. Ketut seemed perplexed by the colorful, hard-covered notebook that we travel with, in which we’d jotted down a few questions for him. “Are you going to make me a picture?” he joked. We communicated that we instead wanted to just talk with him and that we would like to make a donation for his kidney stone operation that he mentioned several times. Ketut seemed pleasantly surprised that our visit did not follow the normal tourist formula. We asked him about his secrets for leading a happy life. I am not certain that Ketut understood the question, but he did say that he was not sad to die because he has lived a happy and full life. 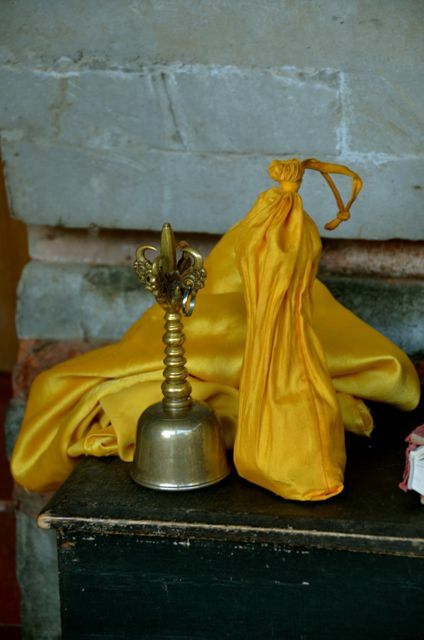 The diminutive healer again reached into his trunk, this time pulling out a polished bell from a yellow satin bag. “This from Liz,” he said. He performed numerous chants, sounding the bell. 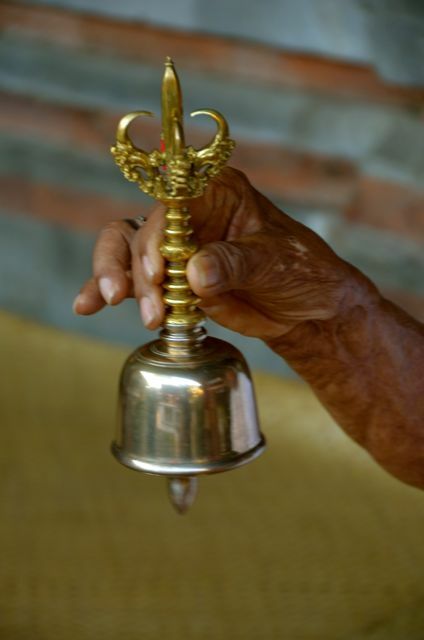 Before our visit with Ketut had ended, he had regaled us with three different bells. As the evening sun was dipping below the horizon, and Shawn and I had a bit of a walk before us, we thanked Ketut and told him what a wonderful opportunity it was to meet him. The little man’s body shook with a hearty chuckle reminiscent of the Dalai Lama’s. 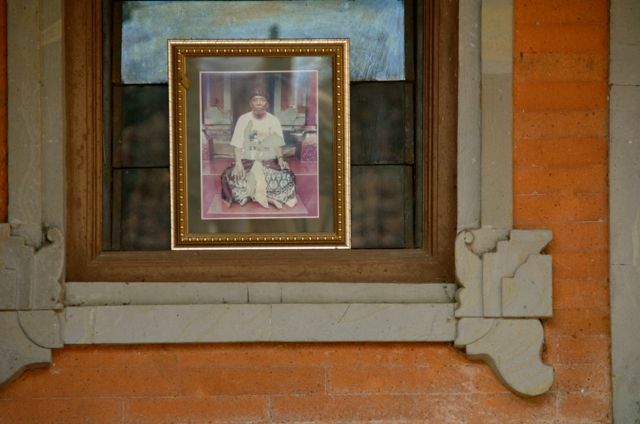 Update: A reader wrote to mention that Ketut died in June 2016. See author Elizabeth Gilbert’s thoughts on the passing of this beloved and mischievous medicine man. 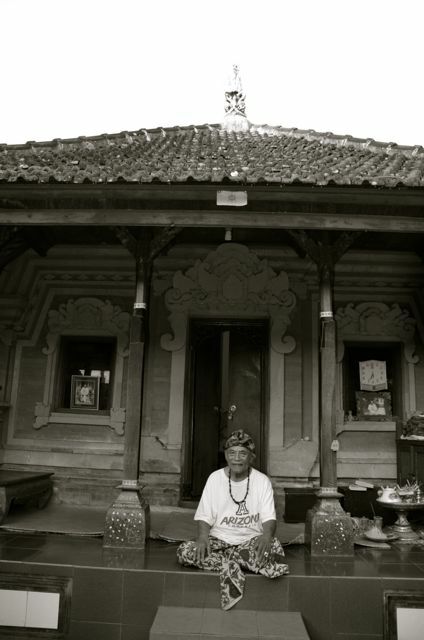 Ketut’s address & telephone number are: Ketut Liyer: Pengosekan, Mas, Ubud, Bali, Indonesia, Telephone: (0361) 974092. 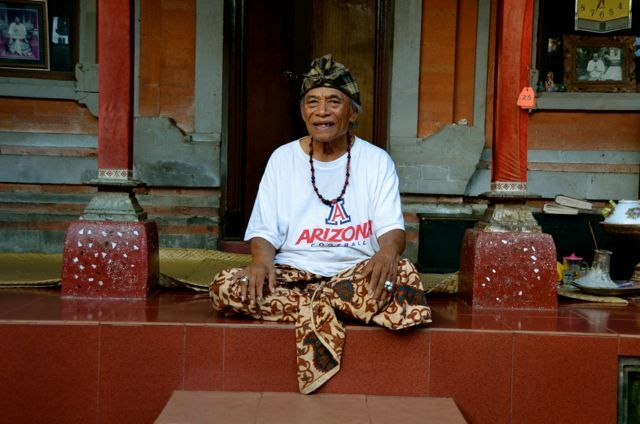 Ketut’s home is a bit of a walk from Ubud’s city center, however, we made the journey twice on foot. Most taxi drivers should be able to easily find his home. We did not make any arrangements in advance, and simply showed up at his business/home. This was in 2011, so the procedure may have changed in the years since. During our 2 weeks in Ubud, we stayed at the pretty and tranquil Nirwa Homestay (affiliate link), run by Madde and Ayu. The family-run guest house was surrounded by a panorama of vibrant rice paddies, and our soundtrack was that of nature: soprano crickets, confident roosters, and babbling canals. If you go, be sure to order Ayu’s legendary green banana pancakes for breakfast. Need more inspiration? My Bali guide shares my highlights from the island. Greetings, Fran! Happy that you enjoyed the tale from our Ketut meeting and that you’ve subscribed. :) Shawn and I are off to Malaysia later today, but will leave Bali with a suitcase of wonderful memories and rich experiences. There are a lot of islands in the Indonesian archipelago – perhaps you’d like to go sailing again? How fun! I love that photo with the birdcage, the flowers and the colours in the background. I’m not sure what’s prettier – the elaborate cages or brilliant birds! We saw a lovely parrot yesterday that was so social. It hopped up and down with us, and was doing a pretty good job of learning “hello” with just a few English lessons. Too funny! The whole image has so much going on within it, that it works. So I have my camera! And I love it. Still fiddling around with the ISO, aperture, etc. It’s a Nikon D5000. I took it for a spin today and had alot of fun. Any tips or learnings would be so appreciated. I am also scouting the web!! Safe travels to Malaysia! Marina, happy to hear that you’ve gotten the new toy! Please let me know if you find any helpful tutorials online. I did find that the CD that came with the camera was helpful, but it left me hungry for more information. We’re in Kuala Lumpur right now, and I was tempted to get an exterior flash yesterday. I think I’ll wait ’til I get more proficient with the camera. Look forward to seeing your images soon! Tricia, Thanks for sharing that experience. I loved Elizabeth Gilbert’s ‘Eat, Pray, Love’, so it is fun to hear the effects the book has had on Ubud, and amazing that you were able to have such a personal experience with Ketut Liyer. Look forward to hearing more adventures. Traci, so glad you enjoyed reading about our time spent with Ketut! At 98 or so, I’m amazed by the number of visitors he’s able to receive on a daily basis. 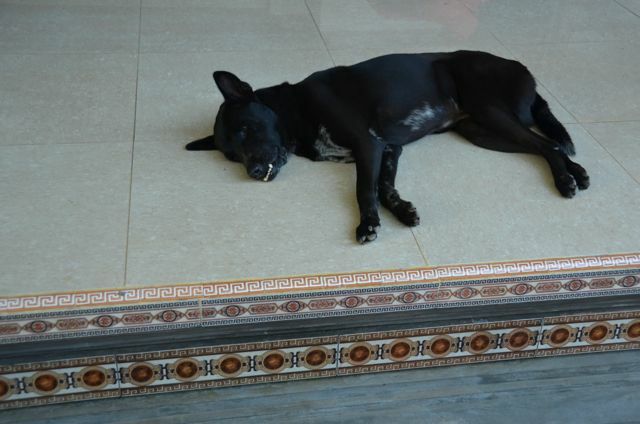 We were at his home on two separate days, and each time, there was a flurry of activity. I suppose all the interactions keep him young. A pleasure to get your feedback, and pleased you stopped by! When I actually have time to sit down I manage to find great reads such as this one. Thanks for sharing this beautiful story, and I will certainly keep an eye out for more from your past and upcoming posts. Cheers. Thank you – it was a really memorable afternoon! awesome! And did you change your blog layout? Loving it! How nice to hear that it touched you so! Isn’t it amazing that he’s in his 90s – and that he can still sit in lotus position? :) He’s a great example for physical healthy and longevity, and he has such a great, little laugh. We’re off to the Pacific Northwest (Oregon, Washington State) for a camping trip, so I’ll probably be away from the blogosphere for a while. I wish you and your family happy days, Sharon! I recently listened to Liz reading Eat, Pray, Love. How wonderful that you actually had a visit with Ketut. What an experience that must have been. It was a pleasure to see your pictures to add context to the book. I just read that you’re off to my neck of the woods (the Oregon coast?) I look forward to seeing your take on our lovely corner of this earth…. (oh, wait… that was September, not this month). I’m off to search for a post relating to your visit. Hello Gunta, how fun to connect! I must confess that I’m so far behind in chronicling my adventures in the United States this summer. The Pacific Northwest posts – especially those from the gorgeous Oregon Coast – are yet to come. :) We were so impressed by the natural beauty there. How lucky you are to call such a pretty place home. I’m happy you also enjoyed this piece on Ketut. 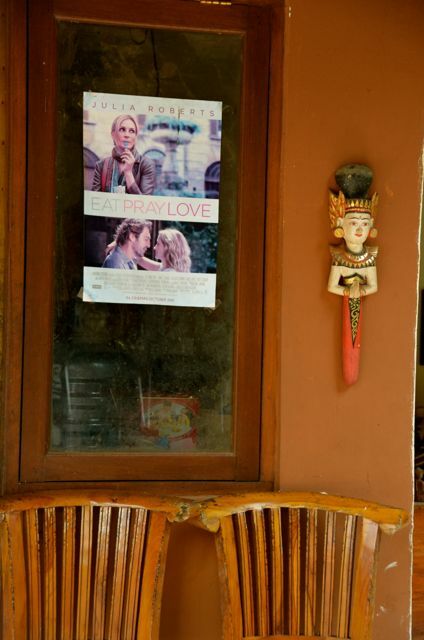 My mother in law started reading Eat, Pray, Love during our visit to Bali. 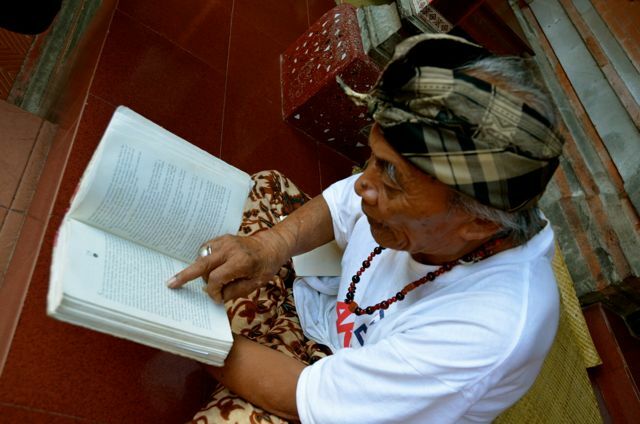 Once she heard we’d met Ketut, she skipped to the ‘love’ chapter so that she could pair a face with the book’s descriptions of him. What a charismatic fellow he is! Thanks for stopping by, and I look forward to connecting again in the future, Gunta. This is a fabulous story, Tricia.Your photographs documenting the whole experience are wonderful. I loved when you introduced your monkey to Ketut. He seems like a gentle old soul. 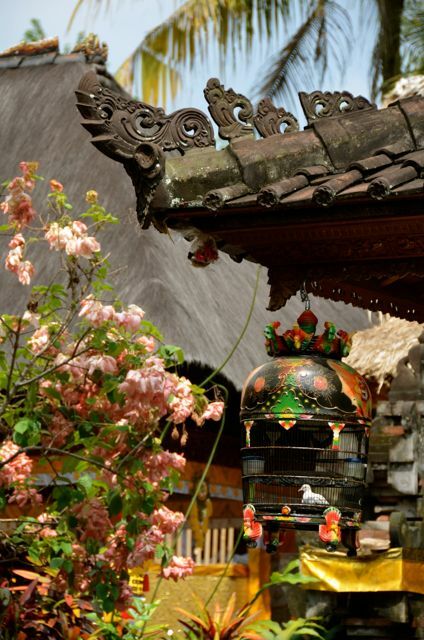 Even for Indonesian, Ubud is still a very special place to be. Nice story, nice photo…and cute monkey :-) I enjoy reading it! I am off to Bali next month and have a visit booked with Ketut. I am trying to think of a sensible question to ask him :) I am glad to see that he does actually exist outside of the movie! Melinda, how fun! We didn’t actually have a session with Ketut, rather we just chatted. He seemed to take a liking to our little monkey mascot, Mango. When you get back from your adventure, please report on your experience. I’d be curious how it will be 2.5 years after ours. Oh, and if you like Mexican food, there was a wonderful restaurant not far away from Ketut’s called Taco Casa. http://tacocasabali.com/ The fresh mango juice and dishes were fantastic, in our opinion. We went back twice, interspersing that cuisine with traditional Indonesian fare. How long will you be in Bali? Two weeks all up – 4 days of yoga, 4 days at the Bali Spirit Festival and 5 days on Lembongan Island. Thanks for the restaurant tip – i’ll will definitely check it out! Sounds like a wonderful itinerary, Melinda! Wish you safe & fun travels. I have sad news to report – Ketut’s healing powers have left him and he no longer provides personal advice. He does still welcome visitors however – not bad for someone of his age :) Unfortunately our itinerary was very busy and we did not see him this time. I was amazed by how much Ubud had changed since I was last there in 1979 – I wish now I had taken more photos back then. I’m curious what Ubud looked liked in the late seventies and how it’s changed. Were there more undeveloped plots of land and more rice terraces? It’s been two years since we’ve been there, so I’d love to hear what other places you visited in Ubud and beyond. Hi Tricia, I wish I had taken more photos in 1979 (there were no digital cameras then :( ) but my memories are of visiting the market which was in an open field near the palace (same location as today but now it is mostly in a building) and of visiting the Monkey Forrest. At the time I don’t remember there being anything other than homes between the market and Monkey Forrest and certainly no shops or cafés. It was a bit of a culture shock for me! Melinda, that indeed sounds like a very different Ubud. That can be the dilemma of travel. On one hand as a visitor, you want to see a place and its residents thrive economically, but then on the other, you don’t want the true character of a place to be damaged by mass tourism. Did you make it to the Monkey Forest this time around? Stroll through the rice paddies? I did make it to the Monkey Forest (that had not changed much) and also walked through the rice paddies to the Sari Organic café for lunch – both were wonderful experiences! Melinda, well said! When we saw that Ralph Lauren store, we wondered if it was even real. Certainly it’s nice to see family-owned businesses that reflect the values and traditions of the local population. The Sari Organic Café sounds familiar. While we didn’t eat there, I think our homestay might not have been far away from it, and that perhaps I saw signs to it in the neighboring rice paddies. On a rainy day like today, Bali sounds even more appealing. It’s certainly a world away from the German Alps! Hi Toni! I’m happy to hear you enjoyed the tales of our afternoon with Ketut. A reader’s since mentioned that he’s no longer giving out advice, but that he’ll still meet with visitors. I can’t imagine how many people he’s meeting on a daily basis! Are you heading to Bali? Hi Toni, I can see why Bali is such a special place for you. How wonderful that you get to journey there so often. If you visit him, I’d be curious to hear what your experience is like. Wishing you safe, relaxing travels. i’ve been thinking of going to bali for the past 3months now. seeing your article made me more convinced that i really have to go! i want to meet ketut too! great pictures! thank you for sharing your travel and experience! 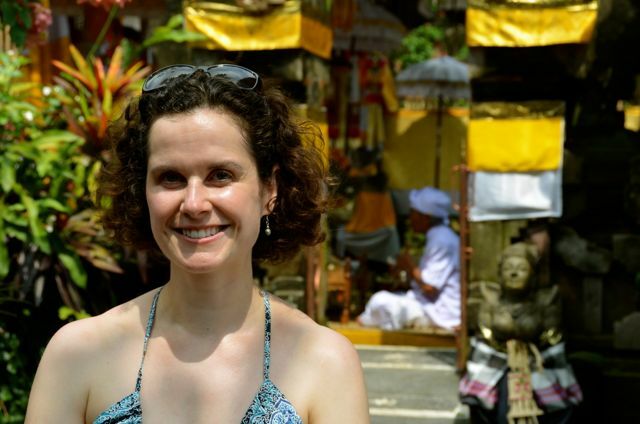 Jenna, we started off our international sabbatical back in 2011 on Bali, and enjoyed our time there immensely. Perhaps not surprisingly the highlight was meeting the island’s warm people, and learning more about the Balinese culture. I miss our hostess’ green banana pancakes, and all the beautiful spiritual offerings, which are made of flowers and placed seemingly everywhere. I do hope 2015 might be the year that you’ll make it there. What a spectacular visit you had! I love Indonesia and admire Gilbert’s work. I’d definitely be on one of the Eat, Pray, Love tours there. Juliann, it was a memorable afternoon, and fun way to spend the American Thanksgiving holiday. (Even though we had our fair share of mouth-watering Balinese cuisine during our time on the island, we indulged in a bit of Mexican cuisine for Thanksgiving.) Ketut is indeed a character. Glad it had that effect on you, Diana! 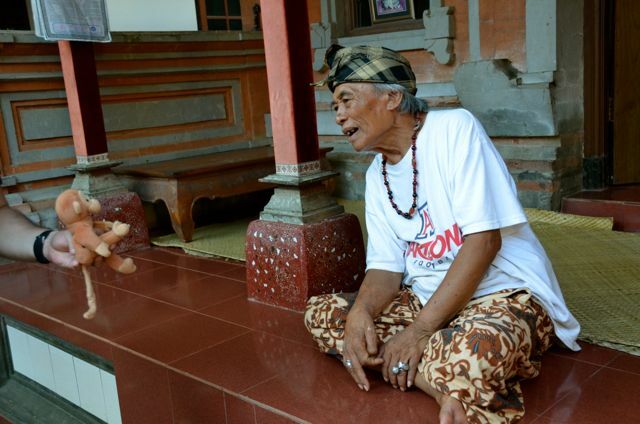 Indeed, Ketut’s playful spirit made it fun to interact with him that afternoon. 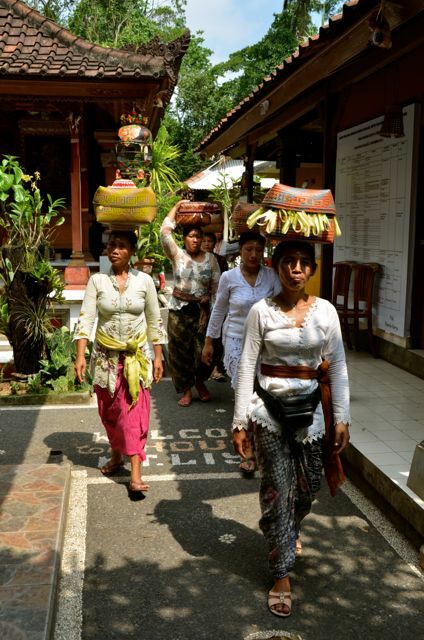 Have you been to Ubud too? Wonderful story. Thrilled to say i am visiting Bali in April 2016 and keen to meet Ketut. Though u have shared his address and phone number, i would like to know if u are in touch with him anyways. Want to know if he still lives there. 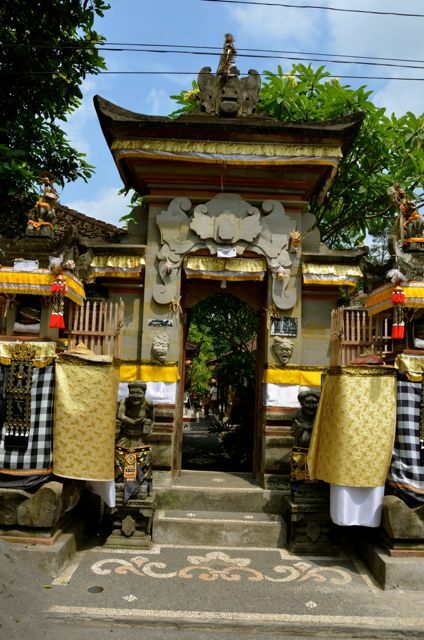 Sampada, you must be excited to soon be visiting Bali – will it be your first visit there? It’s been almost 5 years since we traveled to Bali, but I still fondly remember the colorful canang sari (floral spiritual offerings), the smiling faces of the people we met, the lush flora, and intricate architecture of the island. Aside from the phone number and address listed here, I unfortunately don’t have any contact information for Ketut. 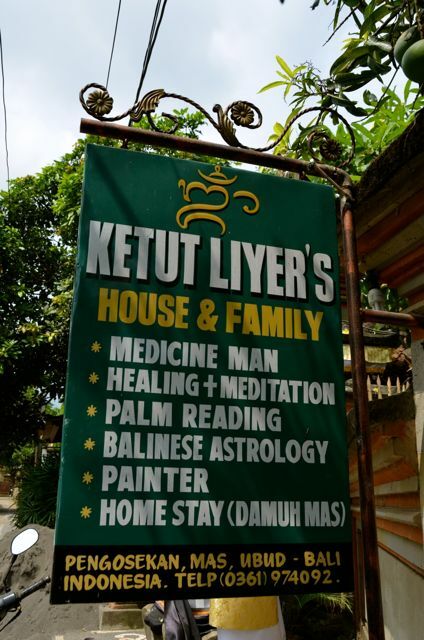 Please note that we didn’t stay at his family homestay, but some readers have since mentioned it: https://www.facebook.com/LiyerHouseUbud/?fref=ts (I am guessing that’s the proper page for their business?) We didn’t get any readings from Ketut in 2011, but simply enjoyed meeting him. :) I wish you a fun and safe trip to Bali! Dziękuję once again, Zbyszek! Wish you a wonderful Sunday. What a beautiful story! I’m absolutely a great fan of this book ! Also.. I love your blog its really helpful. I’m going to Bali with a friend of mine in less than a month.. I was hoping is you could tell me how we could reach Ketut and if you could also give us a few suggestions for our trip! Thanks a lot! Great work! Hi Nayla, thank you for reading and for your comment. You must be excited to be Bali-bound in a few weeks! Aside from the contact information listed above, I don’t have any details for Ketut. We didn’t stay at his family homestay, but some readers of this post have since mentioned it: https://www.facebook.com/LiyerHouseUbud/?fref=ts I am guessing that’s the proper page for their business? 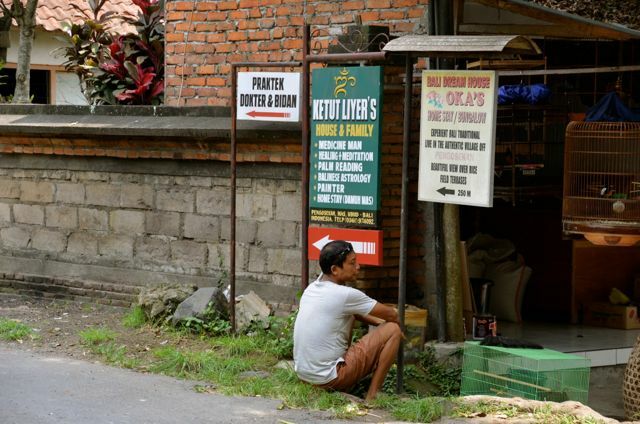 Perhaps you can send them a message in advance via Facebook, or ask some of Ubud’s locals when you arrive. 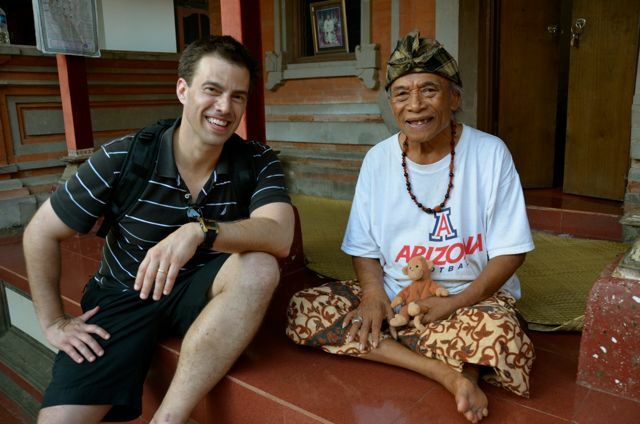 As I recall, many of the people in Ubud seemed to be familiar with the Eat, Pray, Love personalities, so I think you’ll have luck asking around. Wish you a lovely trip! 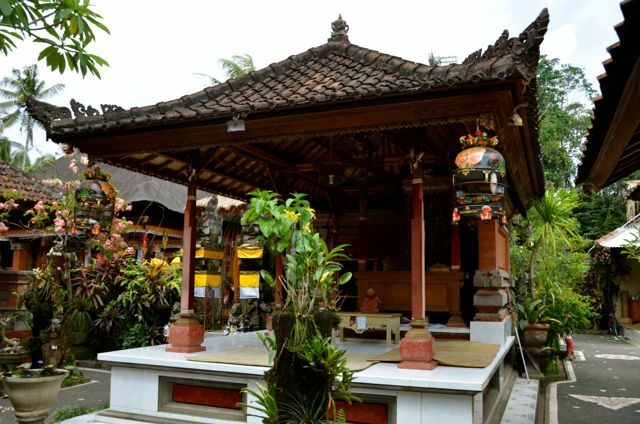 Hi Eunice, it’s nice to hear that you had such a rewarding experience in Ubud. It’s been about 4.5 years since we were in Bali, but like you, I remember many happy days spent walking through the rice fields, chatting with the locals, and just enjoying the calmer pace of life there. Thank you for your comment, and may you have many more memorable travel experiences! Bali is such a miracle. Being the only Hindu province in Indonesia and probably more popular than Indonesia itself. What an interesting place to visit. Teddy, I haven’t been to any other Indonesian provinces, so I can’t say for sure. 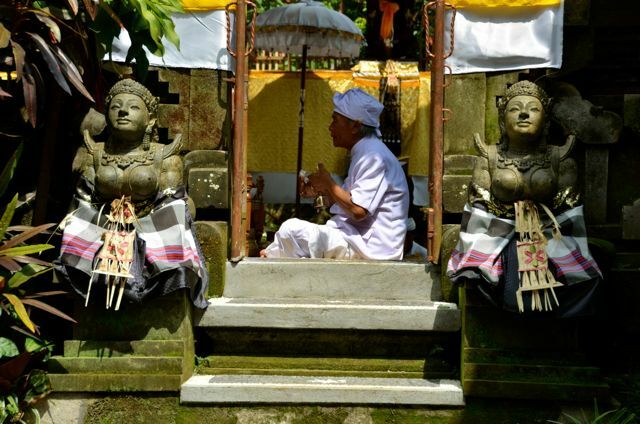 I do agree that Bali’s rituals are incredibly fascinating. During our 3 weeks on Bali, we were spontaneously invited to participate in a blessing ceremony for a young infant. We experienced such hospitality throughout our stay, and immensely enjoyed watching the island’s vibrant customs. I’d love to return to see more of Bali, and greater Indonesia. Have you spent some time in Bali?